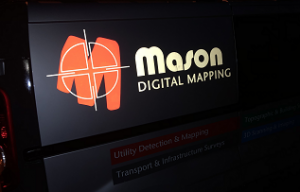 Mason Surveys is a provider of of technical geospatial services, offering a complete mapping service of the built environment, developing environment, sub surface assets and infrastructure developments. We serve Consumers, Businesses, Professionals and Public bodies with Topographic surveys, Service clearance and mapping, Measured building surveys, Laser scanning surveys and Visual condition surveys, of site’s large or small providing 3D geospatial information for the next stage of your project. Mason are an independent business and provide services in and across the UK to Architecture, Engineering, and Construction.